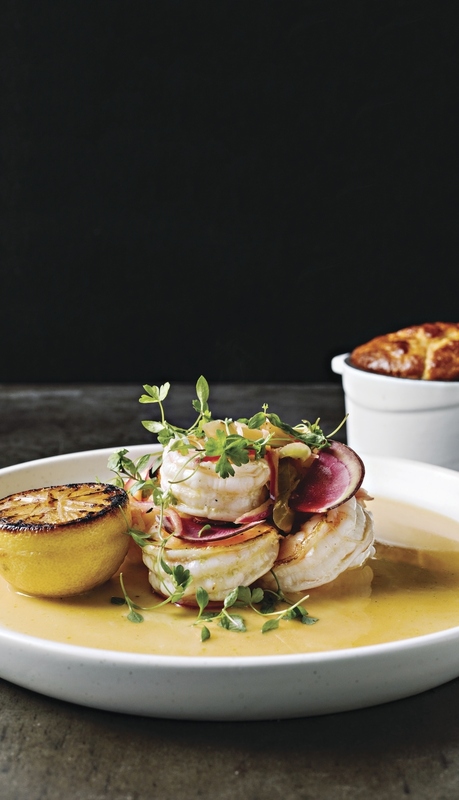 French cuisine has long ruled the culinary world as the epitome of refinement, but, until recently, Atlanta’s dining scene was lacking when it came to French food. Thanks to newcomers that have opened in the past year, it’s clear that Atlanta is saying oui to French cuisine. To get you in a French state of mind, we’ve rounded up the quintessential French dishes for you to try. At West Midtown’s new AIX, opt for the flavorful white shrimp Provençal with garlic, lemon, Pernod, thyme, butter and potatoes.